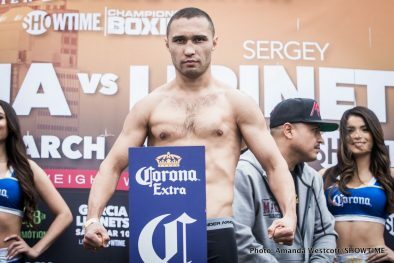 Sergey Lipinets – 139 ¾ pounds. 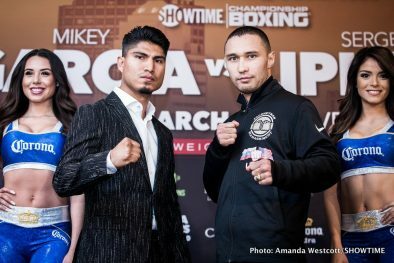 Unbeaten three-division world champion Mikey Garcia and IBF Junior Welterweight World Champion Sergey Lipinets went face to face Thursday at the final press conference before they square-off Saturday, March 10 live on SHOWTIME from Freeman Coliseum in San Antonio. 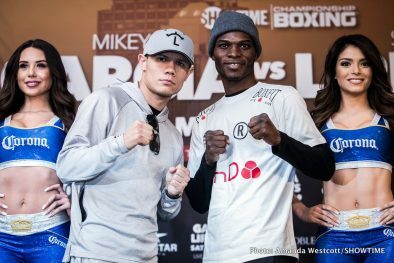 Thursday’s press conference also featured fighters competing on the SHOWTIME BOXING on SHO EXTREME telecast that will see unbeaten contender Mario Barrios, of San Antonio, take on Eudy Bernardo. 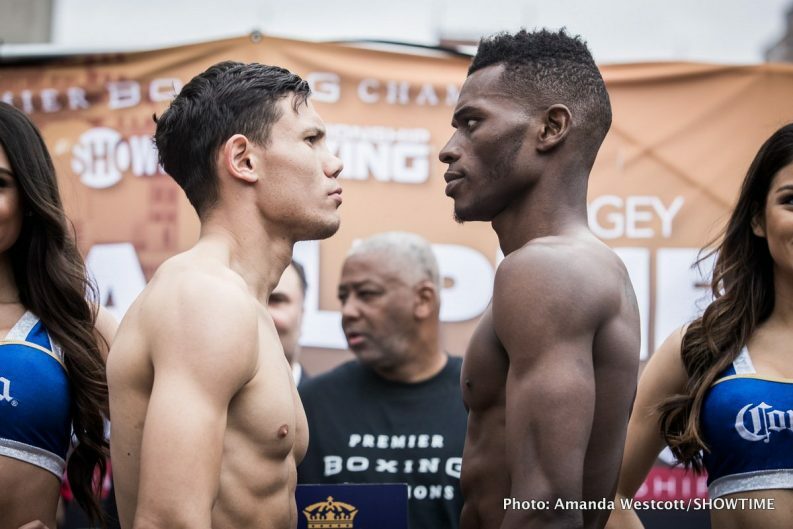 The telecast begins at 8 p.m. ET/PT with undefeated Alejandro Luna facing former world title challenger Richard Commey in a 12-round IBF Lightweight Title Eliminator. “At the end of my career, this is the fight that will have opened the door for even bigger fights. I plan on moving up and fighting even bigger names. 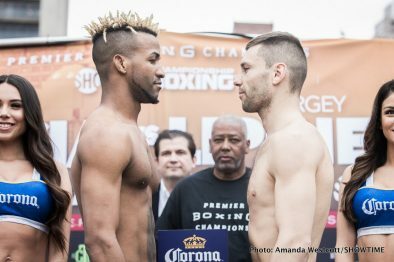 This is the kind of fight that really motivates me and it’s going to be the first of many big fights. 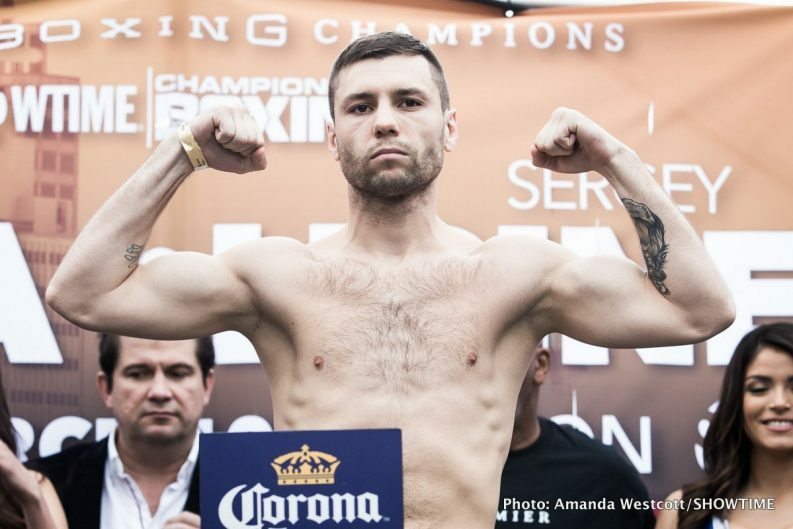 “I’m very focused on Sergey Lipinets. The entire camp I’ve known what’s in front of me. I know he’s hungry and wants to defend his title. He knows what’s in front of him, so I know he’ll be in the best shape possible. 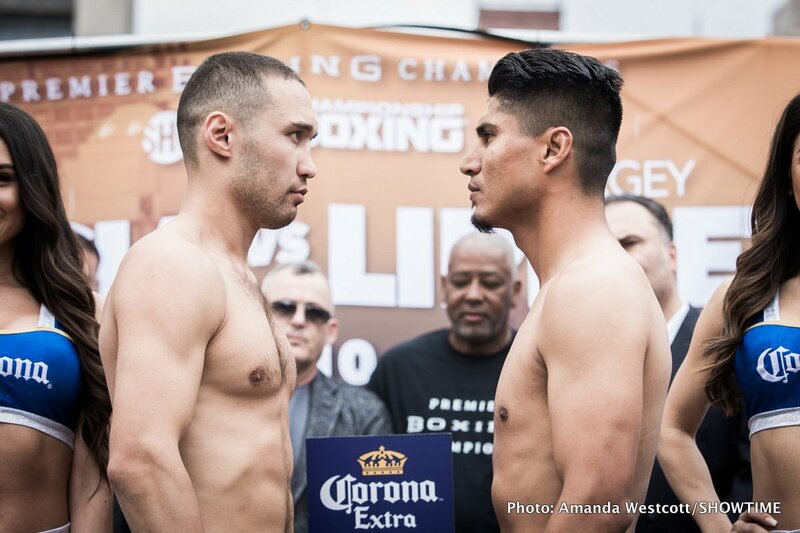 Lipinets knows what a win over me will do for his career, and it’s my job to make sure that doesn’t happen. 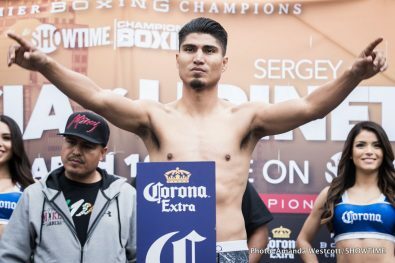 “I don’t have a specific goal in this sport but I know that I need to win more world titles in more weight classes. I know that at the end of my career I’ll get the credit that I deserve. “I’m very happy for this opportunity. If you’ve followed my career you’ve seen that I never take a shortcut. It meant a lot to win a world title but I’ve really always wanted to fight the best of the best. Mikey gave me that chance and I was eager to take it. “I have no concerns about my hand at all. 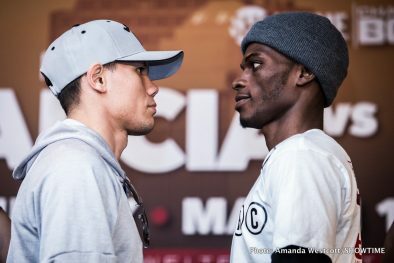 My right hand is hungry and it’s going to be eating a lot on Saturday night. 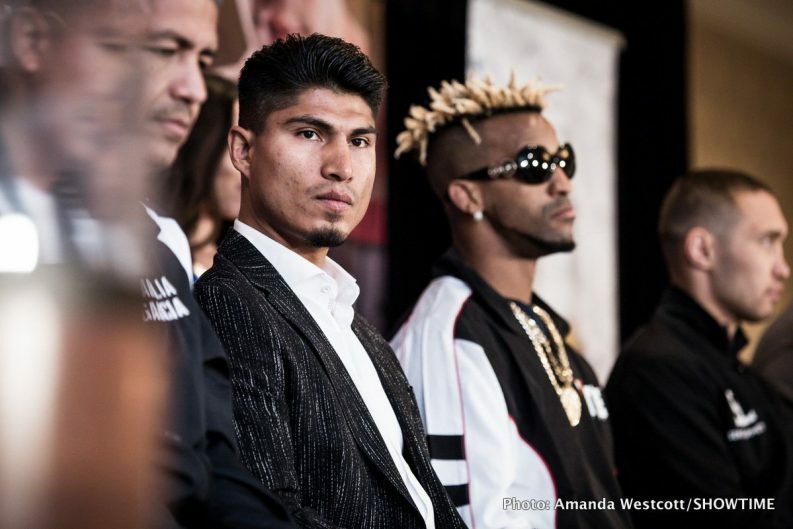 “I’m very excited to be here in San Antonio fighting for the first time. Everyone knows that the first fight with Relikh was an unbelievable war. People thought it was a close fight, but I’m here to make history and erase any doubt. “This is going to be a great show with great action all night long. 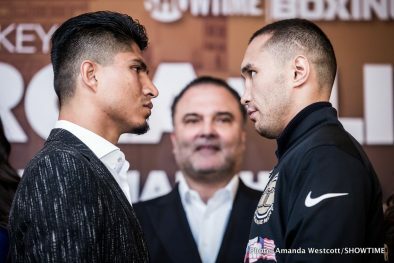 The fight fans here in San Antonio are great and I hope everyone shows up for it. “Everyone knows that Cubans have a rich tradition in boxing, including one of my trainers, Joel Casamayor. It’s an amazing feat to be able to be the first Cuban to win world titles in three weight classes. 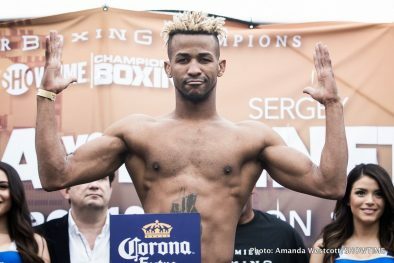 “I’m very happy to have this opportunity again to fight against Barthelemy again. It’s good for me that this time we will be fighting for a world title. I’m very happy for my new team and you will see a new fighter on Saturday. “I don’t think I lost the first fight, but that’s up to the judges. This time, we will be much better and not leave it in the judges’ hands if we have the opportunity. “It’s great to be back home. I’m very excited for the opportunity to show off in front of my people and show them what I’ve been working on. 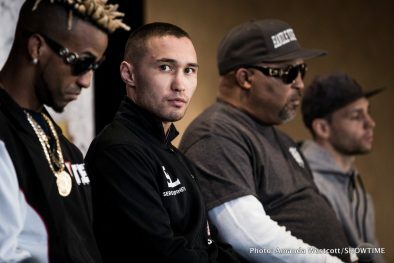 “I had a great camp out there with Virgil Hunter. I can’t wait to be on this huge card. 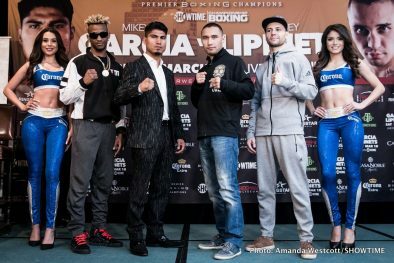 These fighters up here are champions that I look forward to meeting real soon in the ring. “I feel very good about my fight. Training camp went really well and I think I’ve done everything I need to do to win. 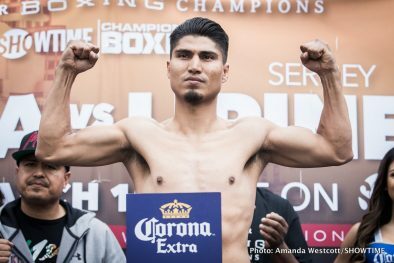 “On Saturday, I’m going to get in the ring and take care of the game plan we came up with in the gym. I’m really going to focus on solid defense and pressuring the guy, because I’m in really good shape. 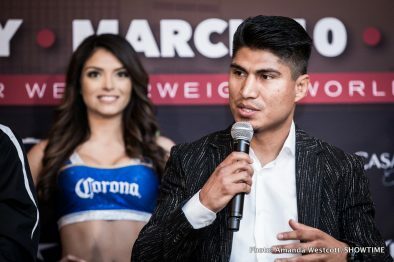 “Barrios is a really good fighter, I know he’s undefeated but if I execute my game plan and focus on what I’ve been working on in the gym I’ll be successful. I want to take him in to deeper waters, to the fourth and fifth rounds, and try to get him on his heels. “It feels great to be on this stage. I’ve been doing this since I was nine-years-old so the time is now. I’m ready to take full advantage of this. “Training camp was great. The only bump we had was the postponement of the fight, but we slowed it down a little bit so we could peak at the right time. I’m ready to go. “The change to Andre Rozier as my trainer was something I needed and wanted. I’m very happy to be working with one of the best trainers in the country and so far he’s helped me improve in many ways. “I know that Luna is going to apply pressure and come forward. He’s going to look to throw big right hands, so we’re getting ready for all of that. “I’ve worked with many Russian and Eastern Europeans fighters before and the one thing about those guys is, they are the most dedicated fighters I’ve ever worked with. “You have to wait until Saturday night to see what’s going to happen. After the fight I’ll tell everyone how we got the job done. 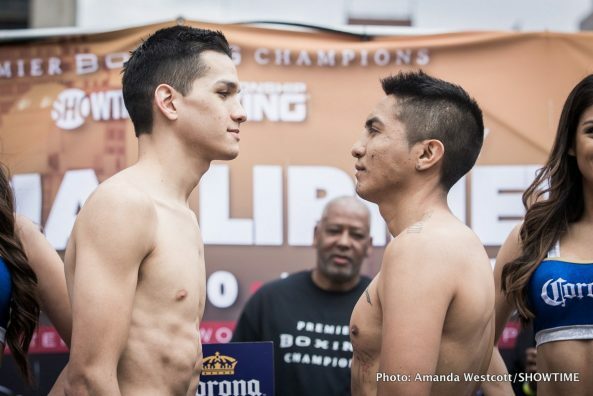 “For as little as $20 you can be part of a historic night of boxing. This arena is built for boxing so I hope all the local fans come out to witness history being made. 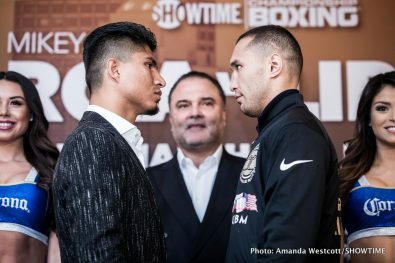 “SHOWTIME has continued to put on the best fights week after week and month after month. 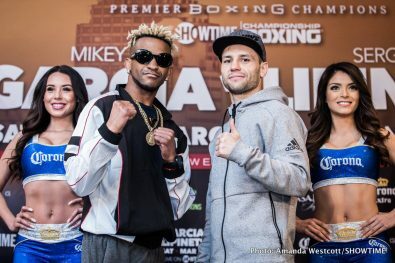 They have really become the sole leader in this sport and are a big reason why there has been such a resurgence of boxing in the U.S.
“This fight card has a little bit of everything. 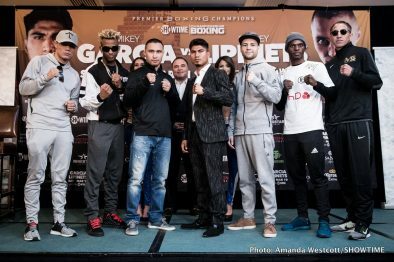 There are five Texans fighting on this card, most notably San Antonio’s Mario Barrios, plus emerging stars such as Alejandro Luna and Richard Commey, who are looking to make names for themselves. 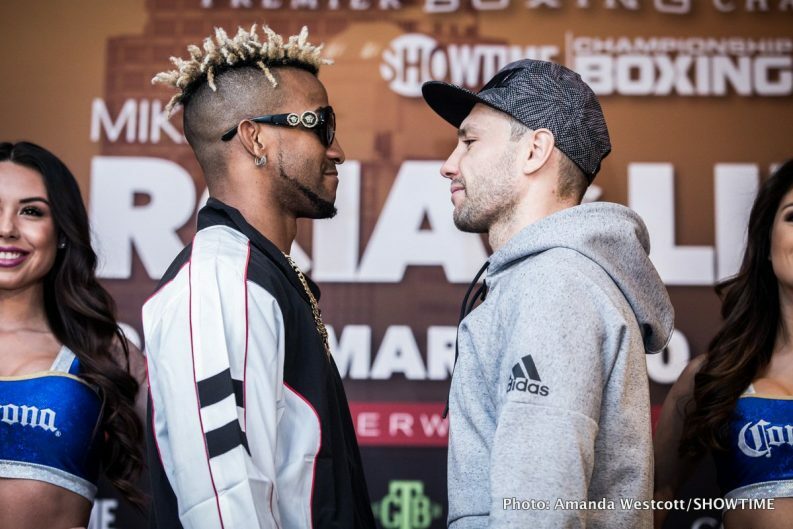 “The 140-pound division is on full display Saturday night with Rances Barthelemy and Kiryl Relikh meeting in a world title rematch for a world title. Plus of course we have the historic matchup as Sergey Lipinets defends his title while Mikey Garcia seeks a fourth world title in a weight class.